A few months ago when I was in Sydney I grabbed quite a few bottles of 2NITE, DV8 and TMI from the China Glaze collection. They were they only bottles that the shop had left. I bought them specifically to sell (one has to pay for their nail addiction somehow!) and as I was swatching them for my ebay listing, I thought I may as well post the swatches here. There is something really special about the original OMG collection. 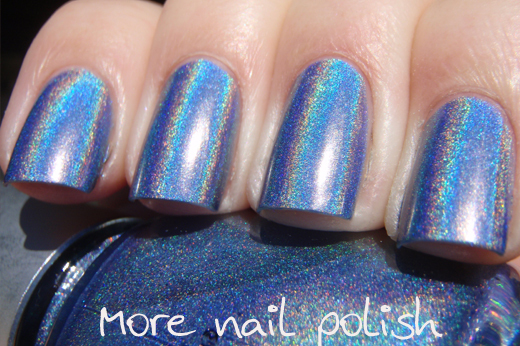 No other holo polish from any brand has ever come close to the ultra fine linear holo effect of these ones. The holo effect in 2NITE is one of the best. 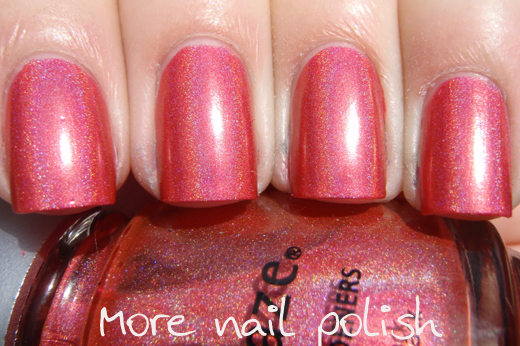 DV8 and TMI don't show the holo as much, and I wonder if my bottles were thinned a little if they would show more. These swatches were two coats with no base or top coat. AMAZING swatches. I love the OMG collection, I have at least 2 backups of OMG LOL and 2NITE! I am soooooooo excited for the China Glaze Hologlam collection that is coming out next year and I cant wait to see you swatches for those too! I am so in love with the OMG collection! I've managed to acquire most of them, but only through Ebay and blog sales. 2NITE is my favorite polish of all time! 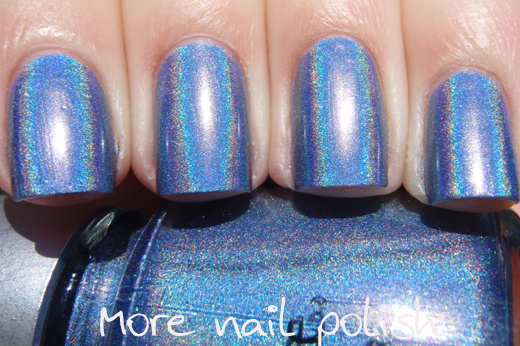 I totally agree about the fine linear holo effect. 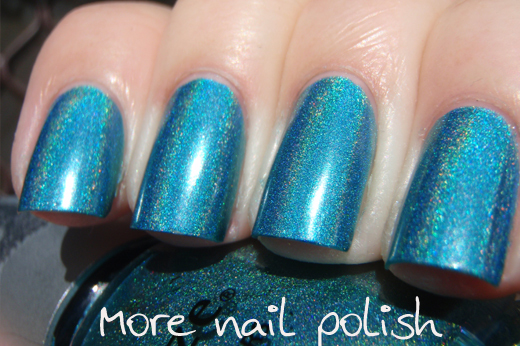 I haven't seen that in any other polishes, which is what makes these so awesome in my opinion. 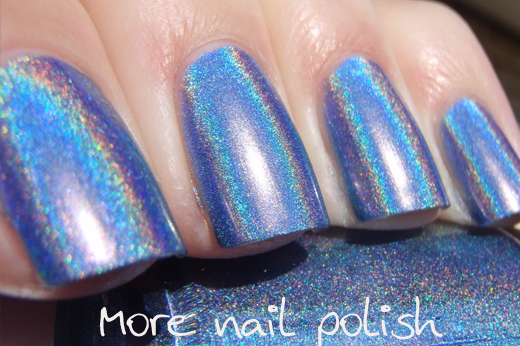 I hope the new Hologlam collection coming out next year has the same holo effect as these! 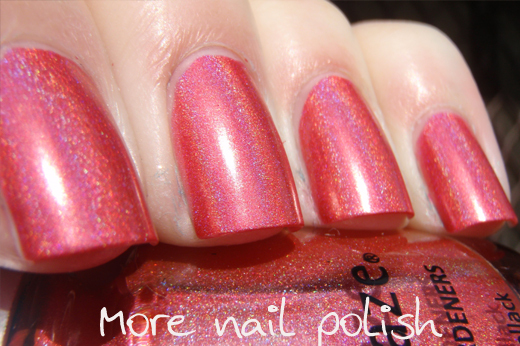 I also hope the 2013 ChG holo collection is like the OMG hols - but after seeing what they did with this late summer's Bohemia collection and they could not pull off that to look like they should have - well not holding out a ton of hope for the 2013 holos. I wish I owned more of these! So gorgeous! I would love to find these. I love that collection! 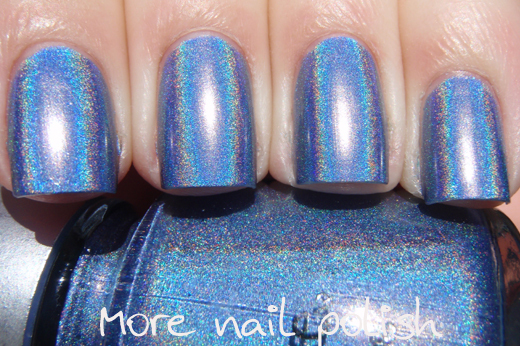 My TMI and DV8 are like yours as well, and my 2NITE and IDK are a much stronger holo. Maybe it's just certain colours that make the holo pop more? How much do you want for 2NITE? I'm through the second bottle and I want MORE! i love love the omg collection. 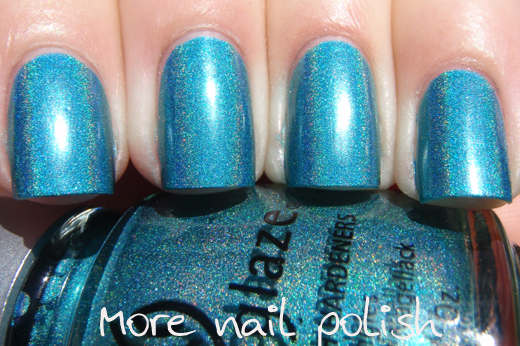 I dream about china glaze relaunch it.But right know i'm crazy about fnug holographic. Have u ever heard about it? impossible see it, and don't think about u! fnug people on face book recomend me this store. They ship internationally. But it's expensive. Stunning collection and swatches! I'm completely head over heels for 2NITE. Unfortunately it's only on my wish list and not in my collection.. Yet. OK, I need 2NITE. gorgeous swatches, thanks for sharing! Lucky you to have found a bunch of these still in a shop. 2NITE always a fav. I have the entire OMG and Kaleidoscope collections with a few extra back up bottles. I bought them when they came out and a couple back ups just a little later so did not pay more than $8 for any of them I own. I really love DV8 L8R (the green one) best of all - and of late - it's harder and more expensive to get than the silver OMG even is. I remember when i found out about these the first time. Which was last year sadly! I was still in school in 08 when these released, so the lack of job and not much interest in nail polish back then made me miss out on these. Anyways I can't wait for the relaunch of these in 2013! Took China Glaze a while to finally hear us but their doing. Can't wait.